We have many tents in stock ranging from 10' to 40' wide and as long as you can imagine. We can provide tents up to 100' wide and larger if planned in advance. 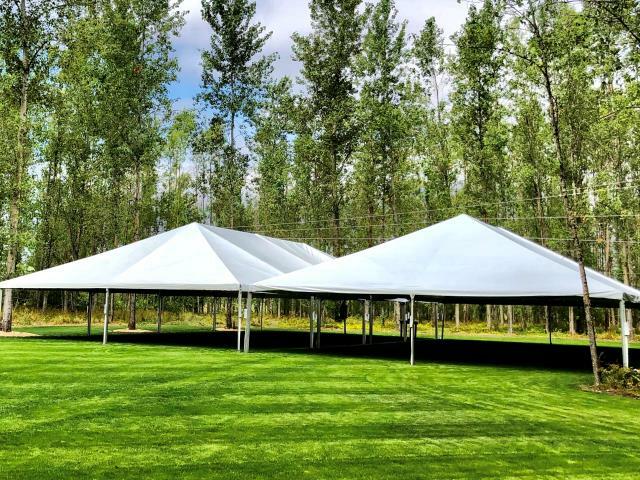 Our inventory is continually growing so please don't hesitate to ask one of our Customer Service Representatives to help you in planning your next tented event! * Please call us for any questions on our hip end tents rentals serving Corvallis OR, Albany OR, Salem OR and surrounding areas.